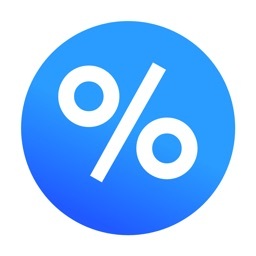 Percent Pro is the fastest way to answer any percentage related problem. 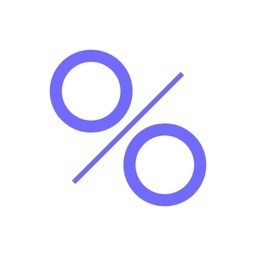 Enter two values, and Percent Pro will instantly calculate all the relevant percentage relationships: X plus Y percent is, X minus Y percent is, Y percent of X is, X is Y percent of, and more. 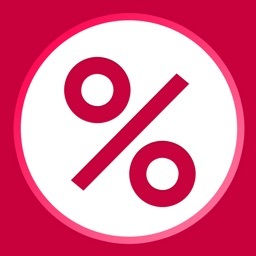 Calculate sales tax, VAT, and discounts when shopping. 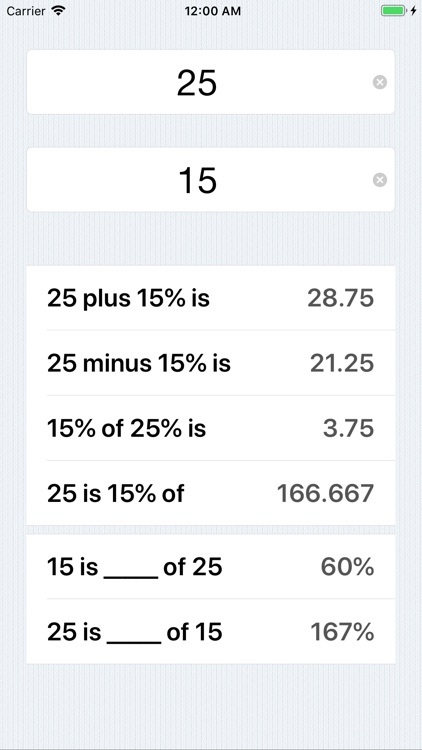 Compute profit margins, markups, costs, for your business. 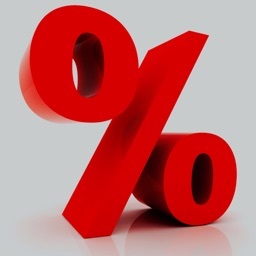 No guesswork, Percent Pro calculates percentages quickly and easily from two input values. 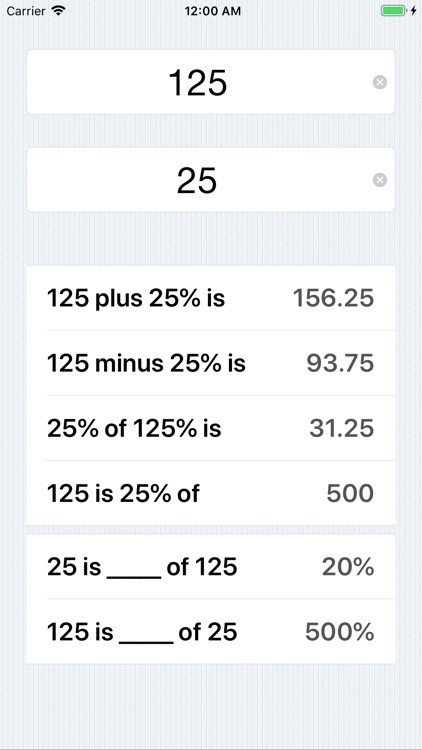 Solves all percentage related problems with easy to understand result. 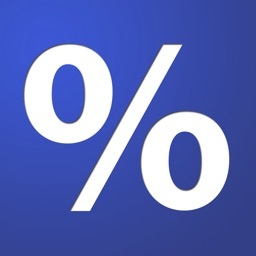 - Want to calculate a percentage of a certain number? 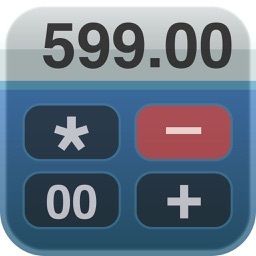 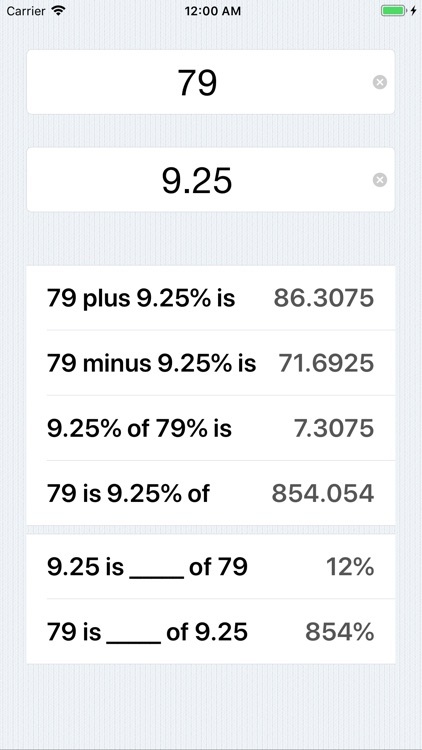 No need to find a calculator, Percent Pro does it too.